The fire wallet is trick wallet that can burst into flames when opened. 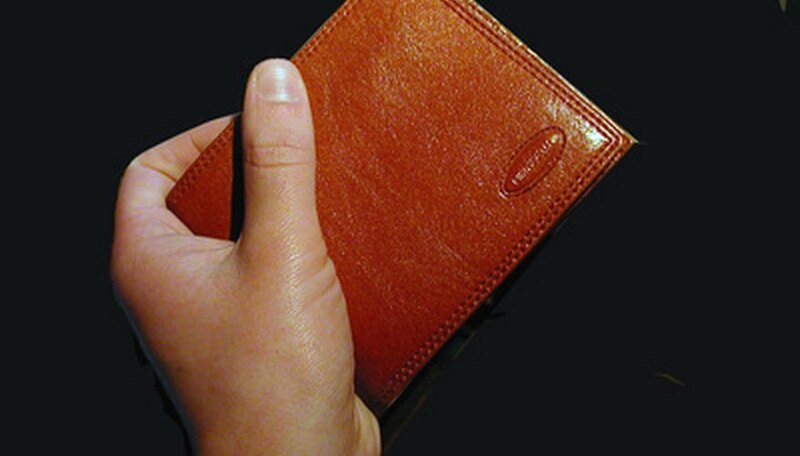 Magicians use the fire wallet to amaze audiences, usually under the guise of attempting to pay a bill of some sort to a person in the audience. Once the fire is put out, the wallet can be opened to produce the desired cash. Fire wallets can be made at home with just a lighter, aluminum foil and cotton. Remove the top off a disposable lighter. Use a pair of pliers to remove the top of the lighter by wiggling the top back and forth slowly. This will become the sparker for the wallet. Place the remaining portion of the lighter to the side to use later. Trim any excess spring from the top so that it can sit flat within the wallet. Cut the interior of the wallet with scissors to seat the sparking head. The wallet used should have two sections, one for pictures and other for cards. By having two sections within the wallet you can create a flaming side and a normal side. Attach the aluminum foil onto the flaming side of the wallet. Use the needle and thread to hold the aluminum in place. Sew carefully and slowly so that the stitches do not damage the foil or will be easily seen by the audience. Attach the cotton to the flaming side of the wallet. Sew the cotton on carefully. This is what will be holding the lighter fluid so make sure that it is on securely. Add lighter fluid to the cotton. Focus more of the fluid towards the end opposite the sparker. This will be the first to catch the sparks and needs to be easily lit for the trick to look right and work on the first try. Press the sparker while opening the wallet. The sparks should catch the lighter fluid and cotton on fire. Keep the flaps close enough so that the fire spreads to both sides of the wallet. Blow out the flames. Reopen the wallet on the normal side and produce a few bills for the audience to see. The fire will only last for a short period of time before the lighter fluid runs out. This is stunt is dangerous since it is using a live flame. Keep fire extinguishers on hand at all times.